If you are reading this, then we expect you are already very much aware that Facebook founder and CEO Mark Zuckerberg has been in the news recently and more specifically, yesterday and today, after he was hauled in front of U.S. Congress to answer questions about his company’s role in the Cambridge Analytica scandal and its handling of users’ data as a whole. While that’s a big story in itself, one quick thinking photographer managed to create a whole new story by taking a snap of Zuckerberg’s binder, complete with all the notes that he had laid out for his appearance. 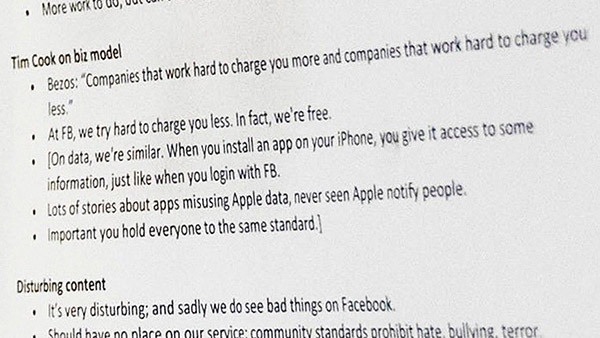 In those notes is plenty of information outlining how Zuckerberg planned to respond to certain points if and when they were brought up by those asking him questions. 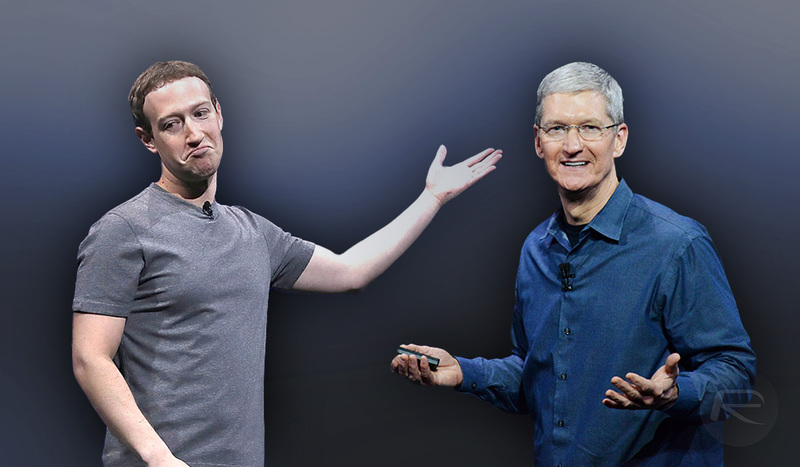 One area of interest covers how Apple CEO Tim Cook recently laid into Facebook and its founder. Thankfully, Mark Zuckerberg did not end up in a war of words with Tim Cook on this occasion, but he has already accused his comments of being “extremely glib and not at all aligned with the truth” in an interview with Vox recently. big tech shitting on each other. always fun to watch on live t.v. One sells products and services to make money one sells your personal info. Taking on Apple not a good idea Marky mark. And both companies told you from the get go what the price was going to be, so you get what you’ve bargained for. I really wish Sachin was here to give us his opinion…. Nothing good is free and nothing free is good.